For 32-year-old professional musician and composer Jason Yeager, The Rivers School Conservatory opened the door to the world he now calls his professional home. “Jazz is at the center of my life, and I first learned about it at Rivers,” he remembers. Later this month, Jason will showcase that talent in his first solo concert at Carnegie Hall. Dan remembers Jason as being the first really good student he had. “Jason had this idea that being creative and improvising was fun, but he didn’t have a framework to put it in,” he recalled. “Here was a kid who was primed and ready to receive the information and he ran with it. Having a student I could reach has helped me understand how to reach others.” While at RSC, Jason placed second in the A. Ramon Rivera Piano Competition and performed in the Contemporary Music Seminar. Dan recently caught up with Jason when he saw him perform at The Lilypad in Cambridge. “It was so remarkable to hear him play and how much he sounds like I always wished I sounded like,” he says. 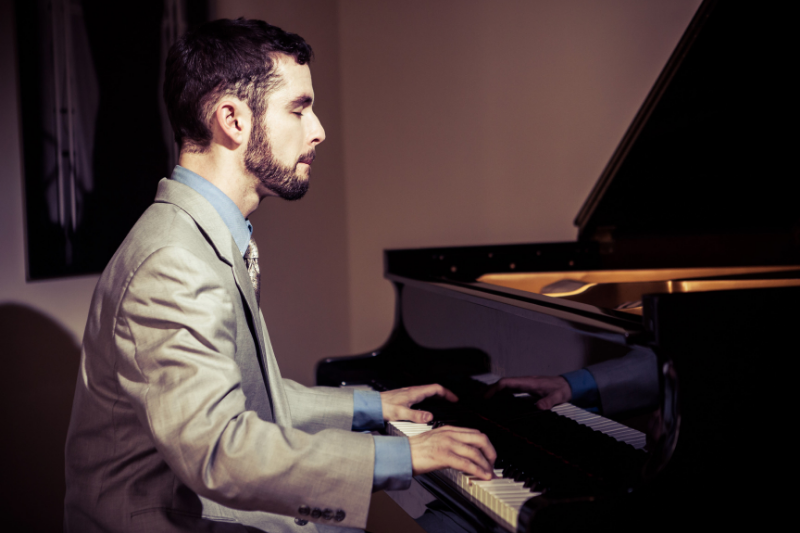 “He has this wonderful, thorough knowledge of the jazz tradition and classical and is able to blend them in such an organic natural way that is amazing to hear.” Dan believes hearing his former student perform inspires him to continue learning and growing as a pianist. Jason’s Carnegie Hall performance, on April 24 at 8 pm in Weill Recital Hall, is part of a series named for Sophia Rosoff, a well-known piano teacher Jason worked with from 2012-2015 before she died in 2017. Jason says a solo concert is 100 percent about the pianist and the only way to prepare is to practice, practice, and practice. “Solo piano is the hardest thing a pianist has to do,” he admits. “Most of the time I get asked to do it, I’m at a restaurant and the stakes aren’t as high because people are doing other things.” He says he will be doing a program that pairs classical and jazz pieces that respond to one another. For example, he will be pairing pieces by Chopin, Ravel, Mendelssohn and Bartok with some of his own jazz compositions. Jason gets inspiration for the pieces he writes from a variety of music he has heard, including jazz, Argentinian folk music, and even Buddhist chants. “It’s less about categorizing music than about expressing myself through sound,” he says. He is currently working on a suite of music inspired by the books of Kurt Vonnegut. Jason also values his time as an Assistant Professor of Piano at Berklee College of Music, where he has taught since 2012. “I see teaching as an extension of my musicianship,” he says. “Teaching isn’t just something one does to pay the bills. 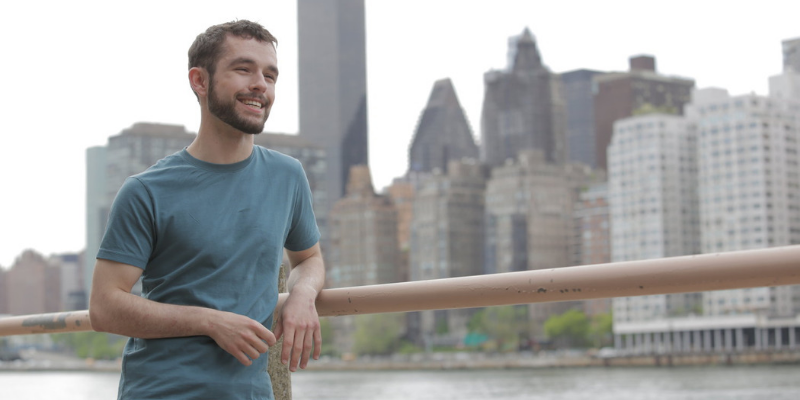 It can be a profound way to share and transmit musical ideas and learn by doing, which makes you a better musician.” The New York City-based pianist travels to Boston once a week to teach at Berklee. To make it as a professional musician, Jason advises being versatile. “A professional musician needs to stay true to the music they are most passionate about making, while also being open to working in musical contexts, styles and genres that may not be their first choice,” he recommends. His fifth album, New Songs of Resistance, features chamber-jazz arrangements of Latin American folk songs and original compositions, and is due out this fall. For more information on Jason Yeager, visit his website.